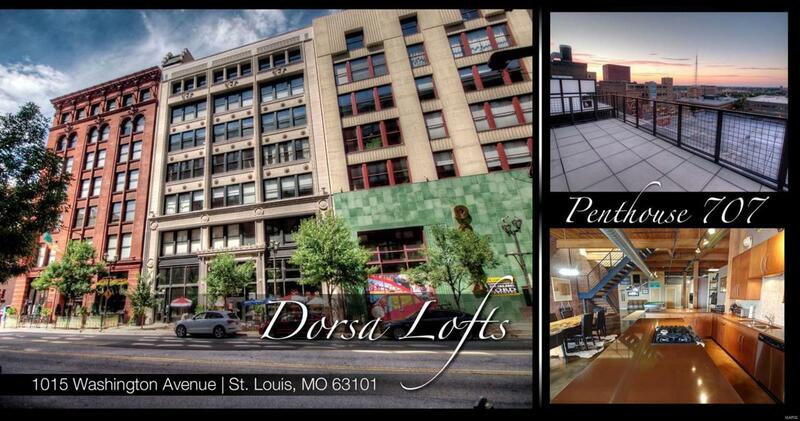 Welcome to downtowns most eligible penthouse! Truly a one-of-a-kind space - this one pretty much checks ALL the boxes. Nearly 3,800 square feet of living space. Parking for 3-4 cars. Two outdoor spaces (balcony AND private rooftop deck). Three large bedroom suites. Three full bathrooms. Dry sauna. Modern fireplace. Gas cooking. Open-air kitchen. Expansive views to the north. HUGE custom laundry room. Extra private storage. And a prime location within steps of everything. Now lets talk about the interior which is such a gorgeous space! You'll LOVE the open yet intimate feel highlighted by a stunning industrial chic design. The polished floors are amazing and are the perfect compliment to the wood-beamed ceilings. This is an entertainer's dream perfect for dinner parties & social events but is also the perfect pad to just relax with family and friends. Be inside, be outside, play games, BBQ on the deck, watch the night sky, play a game of pool and on and on. Your excitement awaits!